Below you can view all the highrises for sale in the Plaza Towers subdivision located in Atlanta Georgia. 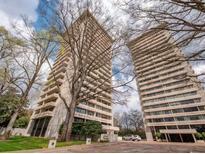 Listings in Plaza Towers are updated daily from data we receive from the Atlanta multiple listing service. To learn more about any of these highrises or to receive custom notifications when a new property is listed for sale in Plaza Towers, give us a call at 404-998-4063. Owner Is Licensed Ga. Real Estate Agent. MLS#8564859. Keller Williams Rlty. Buckhead. 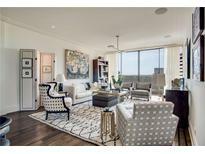 This Condo Is Perfect For Your Most Discerning Buyer. MLS#6530400. Ansley Atlanta Real Estate, Llc. This Is The All Redone Way You Will Want To Live In Popular Plaza Towers. Starry Night And Candlelight! MLS#6529771. Harry Norman Realtors. Hoa Fee In Plaza Towers Includes All Utilities And Ample Parking Is Readily Available, As Well As Storage. MLS#6527175. Ansley Atlanta Real Estate, Llc. Bathrooms Renovated To Include Floating Vanities, Heated Mirrors, Vola Fixtures. Hoa Includes Utilities & Security! MLS#6522927. Beacham And Company Realtors. Recently Renovated Kitchen With Stainless Appliances., Lots Of Granite Counter Spaces, Double Ovens And Cabinet Space For A Gourmet Cook MLS#8540070. Atlanta Fine Homes Sotheby'S. Recently Renovated Kitchen With Stainless Appliances., Lots Of Granite Counter Spaces, Double Ovens And Cabinet Space For A Gourmet Cook MLS#6515796. Atlanta Fine Homes Sothebys International. Monthly Condo Fee Includes All Utilities Except Phone Internet, Cable And Parking (There Is Reserved Parking And Storage Is Available On First Come Bases) MLS#6508397. Chapman Hall Realtors. Fabulous Eat-In Kitchen And Separate Guest Suite Complete The Home. MLS#6503559. Harry Norman Realtors. 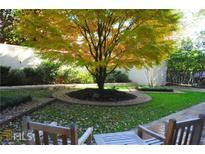 This Is A Very Special Unit On Buckhead'S Golden Mile MLS#6117946. Harry Norman Realtors. This Is A Very Special Unit On Buckhead'S Golden Mile. MLS#8507676. Harry Norman Realtors. All Utilities Are Included In The Monthly Hoa Fee With The Exception Of Phone, Internet, Cable Tv And Parking MLS#6065380. Harry Norman Realtors.